Museums rank very high in my list of favorite places. The aesthetic of the spaces and the collections, the endless source of new knowledge and the pleasure of self and group discovery really do it for me. The experience of each visitor to a museum is unique. Today there is an understanding that previous experiences, gender, age and many other factors contributing to the differences and diversity of human nature ultimately shape the outcome of an individual’s visit. Some of the identified factors are personal (including existing expectations and preferences), social (related to the human connections during the visit) and physical (concerning the space and the content of the exhibitions). This holistic and multifaceted reality of the Visitor Experience became a real interest of mine. Even if museum professionals cannot shape the personal and social aspects of a visit, they have a direct influence on the visitor’s physical experience. It is in the space of exhibitions that illustrations, animations, infographics and interactives play a fundamental role in engaging and facilitating the interpretation of content. Understanding the Visitor Experience is becoming more proficient at communicating visually with the audience at cultural institutions. I conducted doctoral research on the Visitor Experience at museum exhibitions mediated with mobile Augmented Reality technology. My Ph.D. in Digital Media focused on the Visitor Experience with Augmented Reality (AR). The technology, which has a range of applications, has been the subject of experimentation by museums with promises of transforming the traditional mode of interaction between visitors and collections. Its main feature of superimposing virtual content onto the surrounding physical environment has the potential to merge the observational and interpretational aspects of experiencing an object or a cultural site. AR introduces interactive audiovisual content, delivered in a novel and captivating way, and affords the coexistence of traditional and contemporary providing flexibility to suit different audience preferences. The case study for the research was Skin & Bones, an AR mobile app that I helped produce, design and create content for. 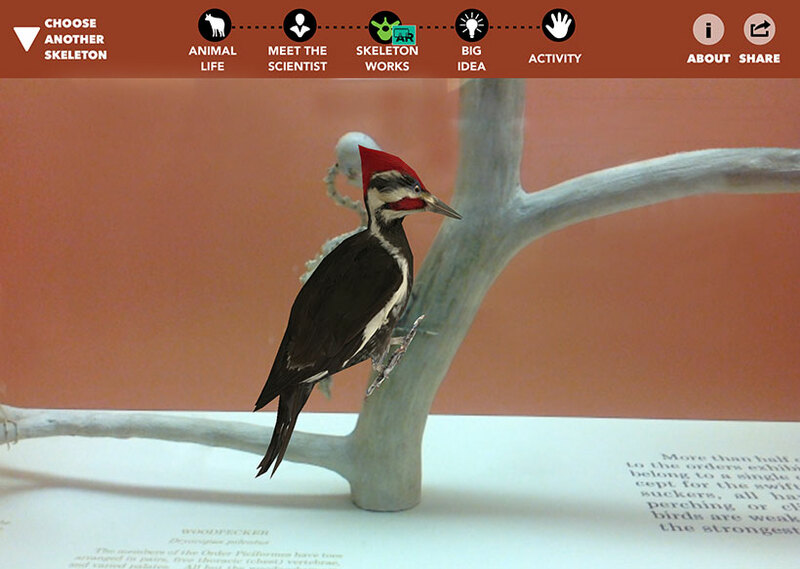 A technology advanced tool to engage the visitors to the Bone Hall at the Smithsonian’s National Museum of Natural History, with animal anatomy and evolution. 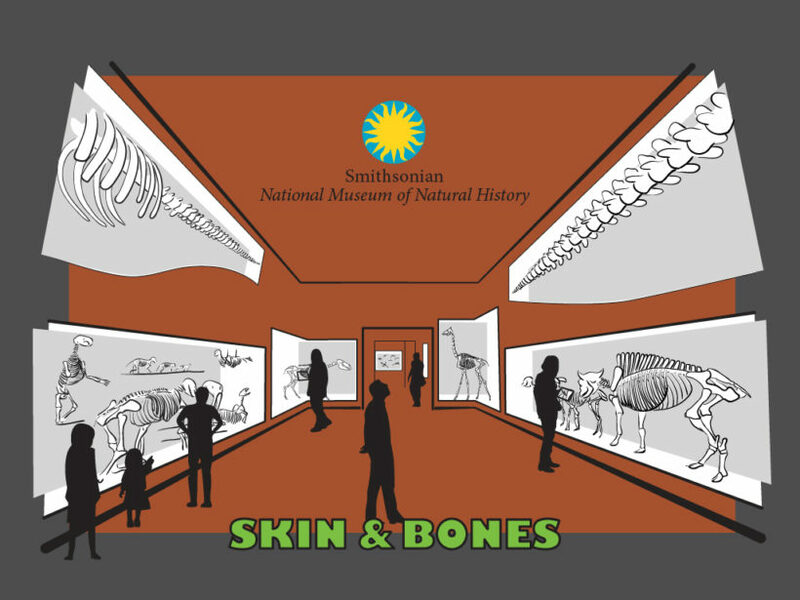 Skin & Bones was the recipient of a prestigious Gold MUSE Award for Games and Augmented Reality and has received considerable attention from the media. Learn more about Skin & Bones. and see some of the 3D models created for the AR experiences. The research study was designed to examine visitors before and after the digital intervention and, for research purposes, the app was developed in two versions, with AR and without, which isolated the variable for its influence on the Visitor Experience. 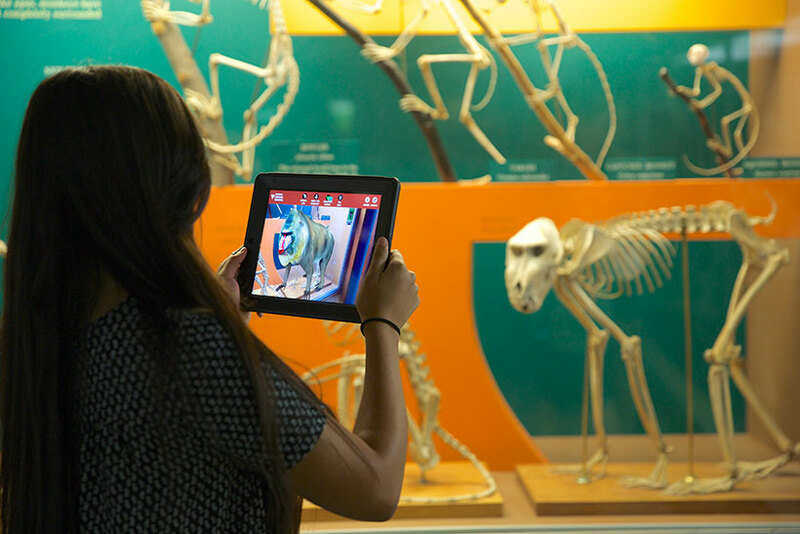 By demonstrating a strong positive influence of AR over the visitors and analyzing multiple aspects of their visit, the study contributed to a better understanding of modern museum audiences and their preferences for and aptitudes with technology-mediated experiences. Read the research publications.